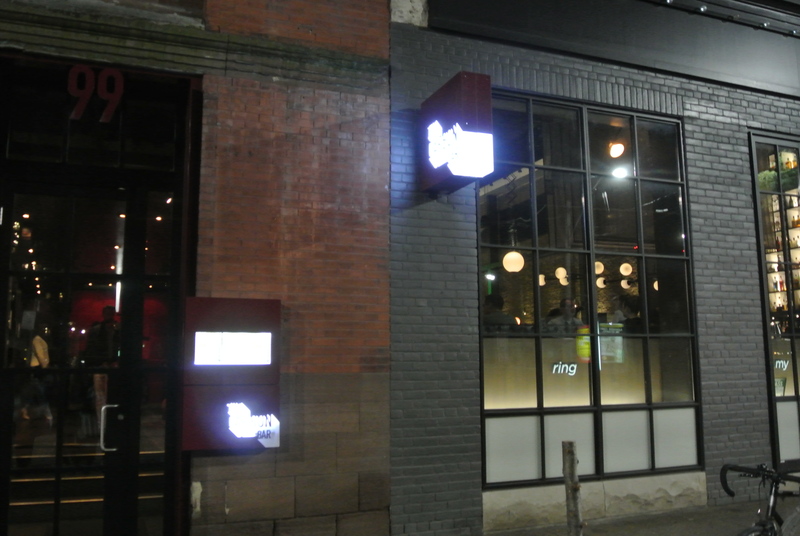 This past weekend I had dinner at a new restaurant, Carbon Bar, sister restaurant to Nota Bene located seven blocks west on the same street. The occasion: a long overdue girls night out and somewhat a reminder of our night out to Stanton Social in Lower East Side in NYC two years ago. 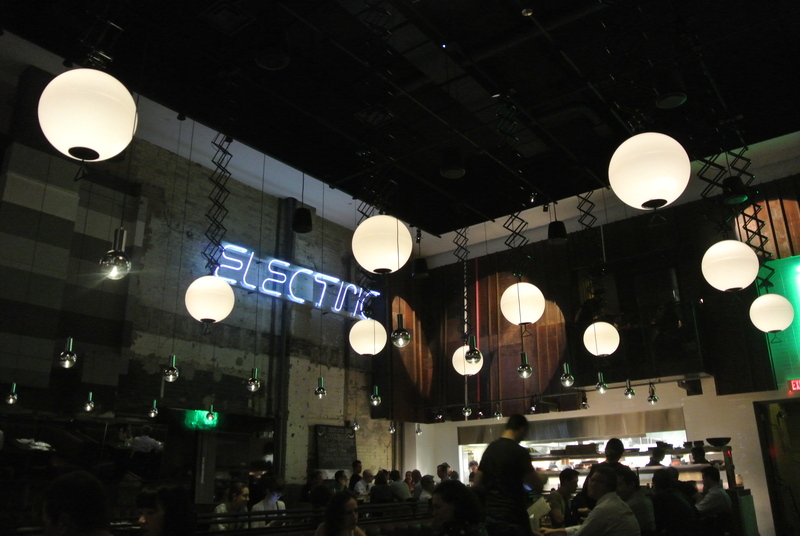 Located in an old building with exposed brick/concrete walls, high ceilings and large round booths, it was very much a New York City vibe. 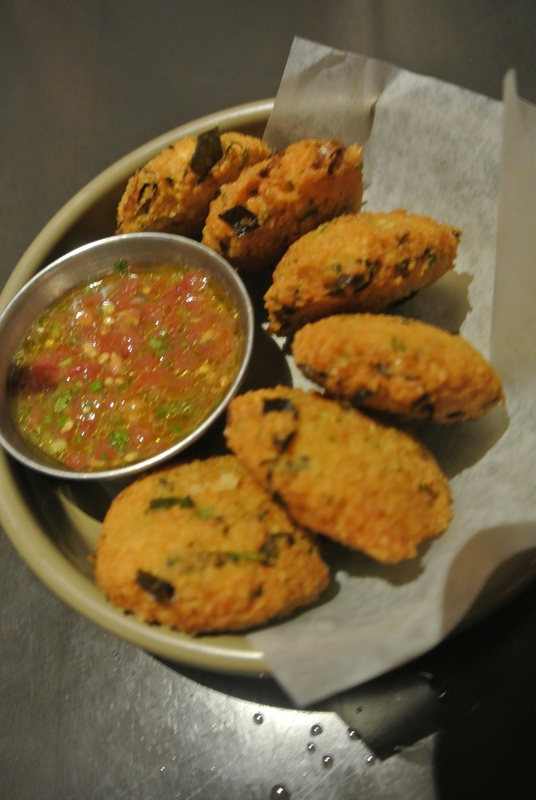 The menu is very much pit-fire inspired with a number of platters and snacking plates to encourage sharing. 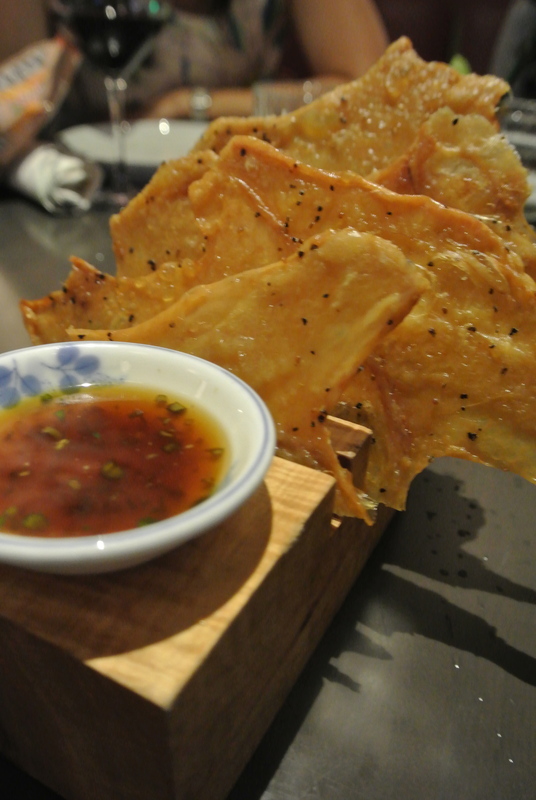 A very interesting item to be found – crispy fried chicken skins and of course, I had to try it! Great in theory, you really can only have a small piece without getting the feeling that you’re eating pure oil and salt. 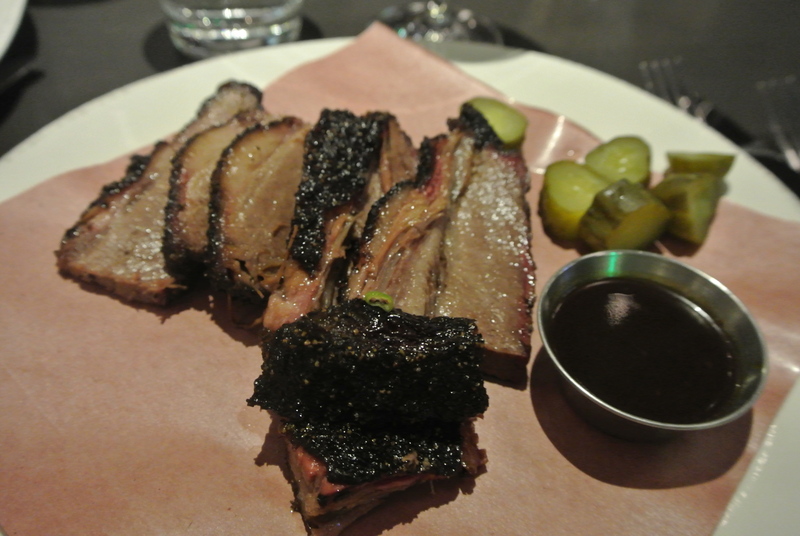 I ordered the pit fired pork tacos which were chock full of pulled pork so much so that you really don’t need to order sides especially if you’re going to be having dessert 🙂 The cheddar ice cream sandwich with maple syrup was delicious – I loved the tuile cookies, it was just enough cookie to satisfy you. 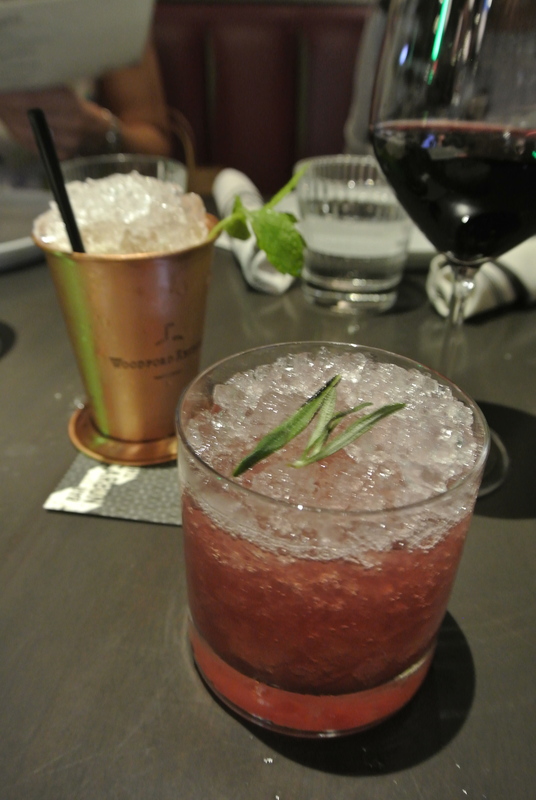 Two of Carbon Bar signature cocktails – the Nota Bene (Absolut, Lillet Blanc, ginger beer and spiced cherry) and Carbon Bar Julep (Bourbon, lime, mint and simple syrup). 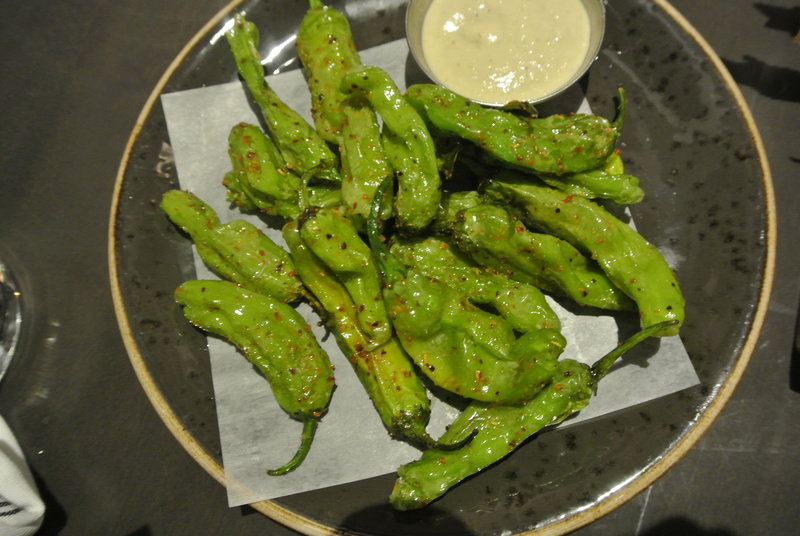 Shishito peppers with pit fired eggplant dip. 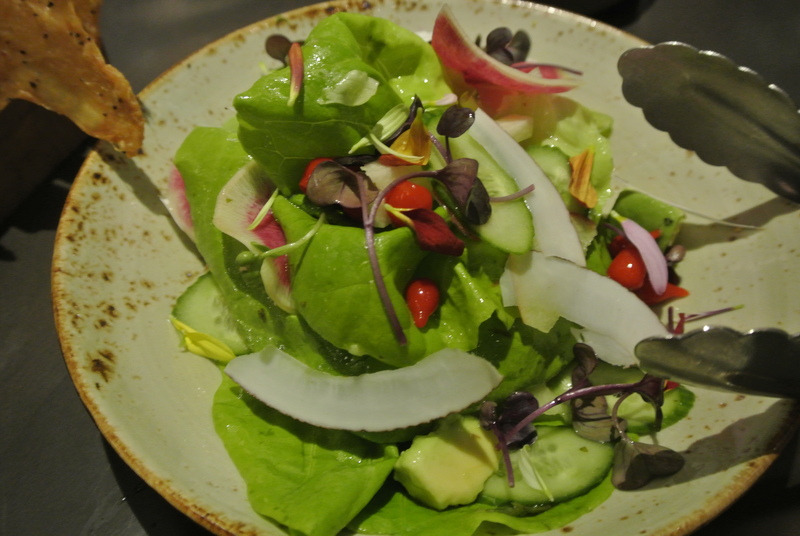 Carbon’s raw salad made with bibb lettuce, avocado, pear, shaved coconut, coriander and a lime vinaigrette. 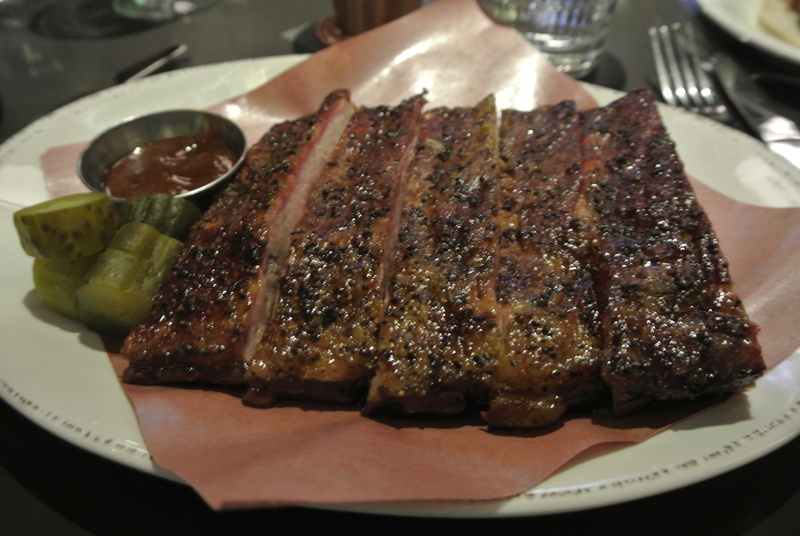 St. Louis cut pork ribs. 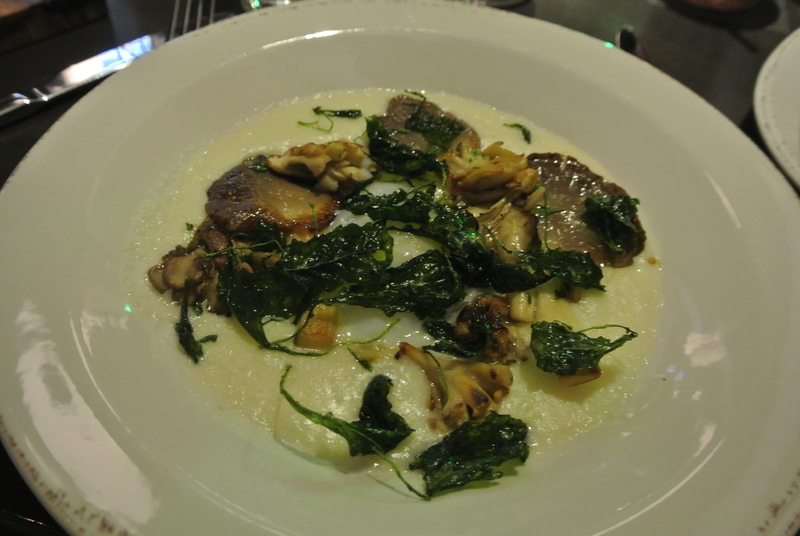 Mushroom & grits with hen eggs, kale and quebec fontina cheese. 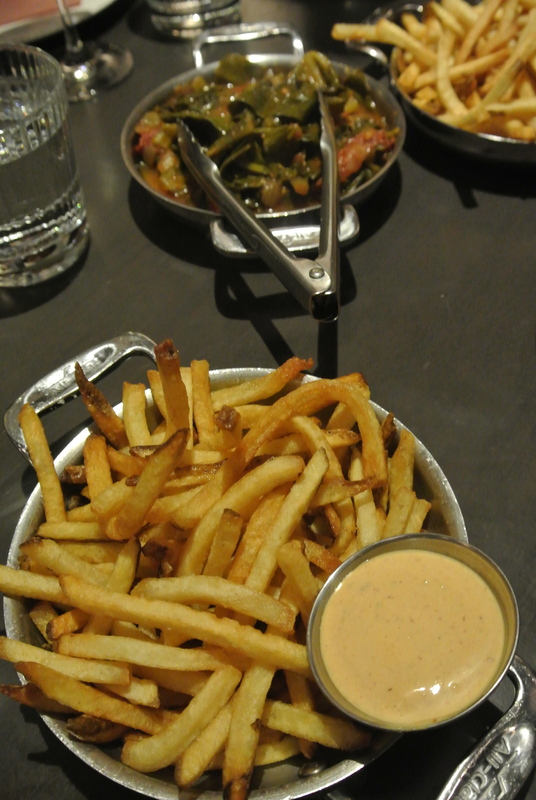 Two of Carbon’s sides – collard greens and delicious shoestring fries. 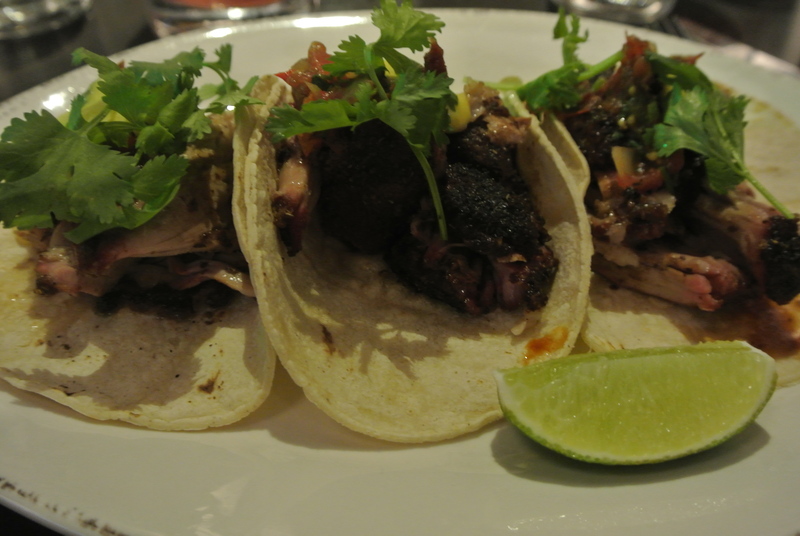 Pit fired pork tacos with charred salsa, mango crema, coriander, chili and lime. 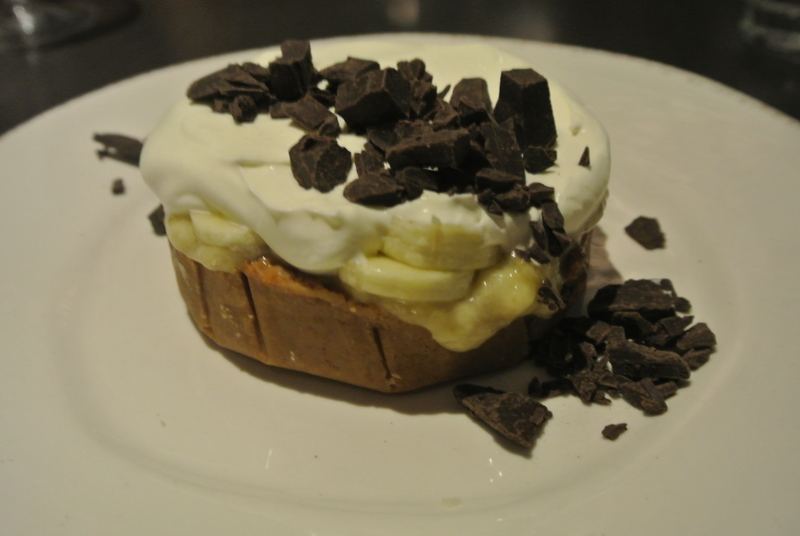 Banana toffee cream pie made with a graham cracker pie crust, a dulce de leche-like filling, sliced bananas topped with whip cream and chunks of bittersweet chocolate. 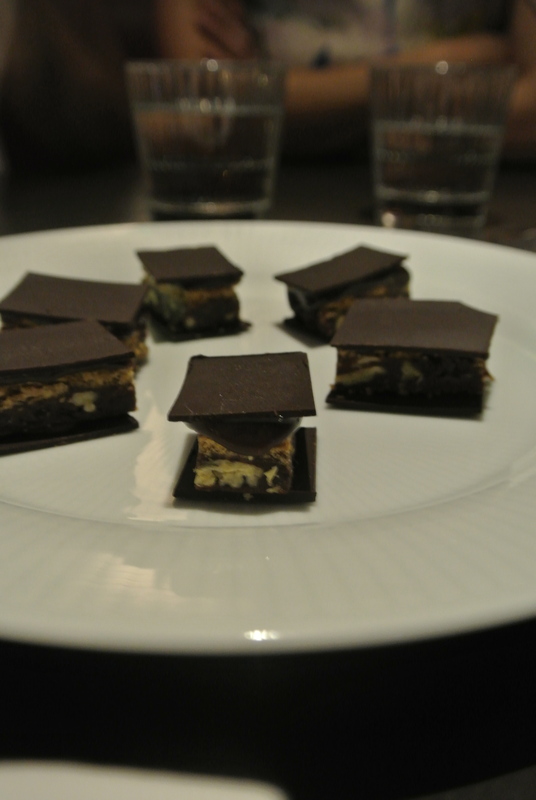 The Carbon chocolate bar – pecan ganache and bourbon caramel sandwiched between two thin bittersweet chocolate wafers. 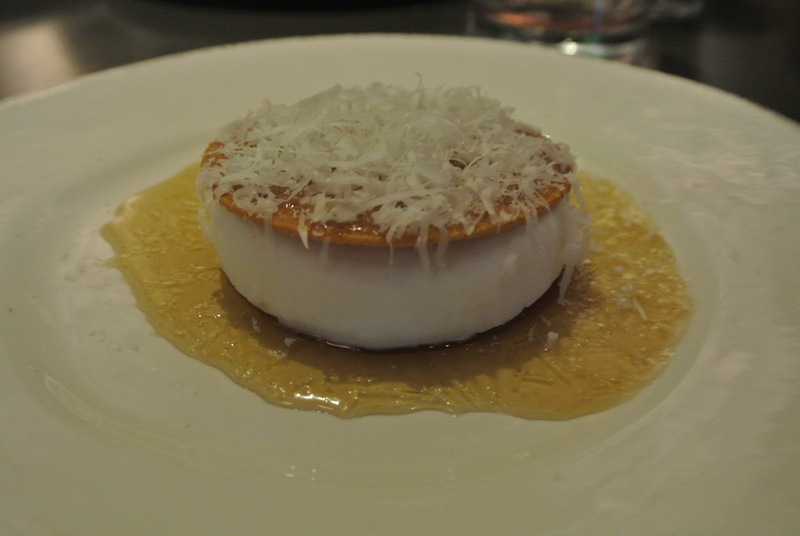 Cheddar ice cream sandwich with shredded coconut sitting in a pool of maple syrup.